The rapidly developing industry arising from laws permitting the use of medicinal cannabis, and, potentially recreational use, brings with it a plethora of precedents yet to be set in the Garden State. New Jersey, which in 2010 became the 14th state to permit medical marijuana, has joined a growing list of states in the conversation that is considering the decriminalization or legalization of cannabis for recreational purposes. There are now about 30 states, plus Washington, DC, that permit medical marijuana, and more than a handful of states that have adopted laws for recreational use. Cannabis continues to be classified as a Schedule I drug by the federal government under the Controlled Substances Act, and the possibility for a federal crackdown – even in states that have authorized its use, distribution, possession or cultivation – cannot be ignored. However, since 2014, Congress has included riders in its spending bills prohibiting the use of federal funds by the Justice Department to prosecute those involved in the legally authorized use, distribution, possession or cultivation of medical marijuana in those states that have enacted such laws. There has also been talk of Congress extending this prohibition to states allowing recreational cannabis, reclassifying marijuana to a lower level or removing it from regulation as a drug under the Controlled Substances Act. While the likelihood of recreational legalization in New Jersey might take longer than originally promised by Governor Murphy during his 2017 gubernatorial campaign, it remains possible that an initiative of decriminalizing or legalizing marijuana use for adults will be enacted into New Jersey law sometime during the current administration’s term, perhaps by the end of 2018. Full-scale legalization or decriminalization will have a reach that is far and wide, and legal advice to ensure compliance in all areas that may be impacted by such a change, as well as building out the most appropriate corporate structures and tax plans, will be critical for many businesses and service providers. Specifically, employers, investors, lenders, business owners, property owners, municipalities, growers, distributors and other ancillary service providers will require the advice and assistance of experienced attorneys to help them navigate this legal minefield of conflicting state and federal laws. 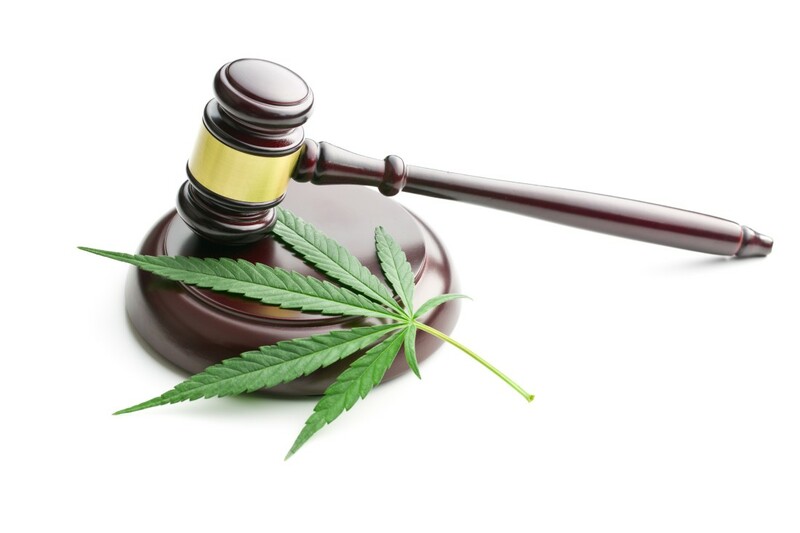 Our attorneys have a great deal of experience dealing with governmental oversight in highly regulated industries such as gaming, where even ancillary businesses have licensing requirements, and we are especially knowledgeable in all aspects of New Jersey law that will inevitably have a direct impact on the state’s cannabis industry. For instance, our labor and employment attorneys were at the forefront when medical marijuana laws were first enacted in New Jersey and Pennsylvania, and employers were faced with addressing changing needs within the workplace. And we are still working with clients to review their workplace policies as a result of the recent expansion, which is unlocking the door for many New Jerseyans who had been previously shut out of the state’s prior modest medicinal program. Attorneys at Flaster Greenberg anticipate an increasing need for legal counsel in this emerging industry that deal with a variety of issues, despite, but also including, the fact that state and federal regulations remain at odds. Therefore, to address the rapidly changing status quo in New Jersey, Flaster Greenberg has assembled a multidisciplinary team of attorneys who remain up-to-date on the evolving state and federal laws and participate in cannabis industry groups and forums within the state. Our professional team includes lawyers from our Corporate, Tax, Environmental, Real Estate, Insurance, IP and Employment Groups who stand ready to aid new and existing clients as they traverse through this industry of varying degrees of regulation. To fully appreciate the sheer scope and depth of a shift to full-scale legalization of cannabis, our attorneys are taking an expansive view of the kinds of businesses that will be impacted with the formation of a new industry in the Garden State. There is little doubt that, upon legalization, the state will inevitably license – and tax – a host of businesses directly related to the product, which could include the following categories: cultivation/manufacturing, processing, wholesaling, interstate and intrastate transportation/distribution and retailing/dispensing. Please be aware that marijuana remains a Schedule I controlled substance; possessing, using, manufacturing, distributing, and/or selling marijuana or marijuana-derived products is illegal under federal law notwithstanding the existence of any state law to the contrary. No legal advice given by Flaster Greenberg PC is intended to provide any guidance or assistance in violating federal law nor will it provide any guidance or assistance in complying with federal law. By reading this overview, you understand there is no attorney/client relationship between you and Flaster Greenberg PC unless evidenced by an executed legal engagement letter. Although federal policy may, at times, recommend enforcement discretion when a business or individual is in compliance with existing state marijuana law that is deemed to comply with federal enforcement priorities, it is important to understand that compliance with state law does not equal compliance with, confer any immunity from, or provide any shield from prosecution under federal law. At any time, federal and/or state law and policy may change either to enhance or inhibit the cannabis industry. Higher Law: See the New Workplace Weed Ruling?